UWI Panoridim is a 26-piece steel orchestra that aims to widen the appreciation and scope of steelpan music in Jamaica. We are a non-profit cultural society of the University of the West Indies (UWI), Mona Campus, under the auspices of the Philip Sherlock Centre for the Creative Arts (PSCCA). 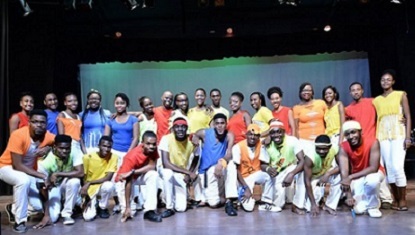 Panoridim is the oldest steelband in the Jamaica and is a blend of mostly Jamaicans with other Caribbean islanders and a few international students. The band has spawned other professional, church, and school bands throughout the island. As a club under UWI, we teach steelpan technique and performance to all our members. Many of our pannists are now some of the best steelpan players in Jamaica and are prominent steelpan music arrangers, directors and composers. We are dedicated to high quality live performances. Our repertoire covers an array of genres including classical, reggae, latin, pop, folk, dancehall, jazz, and of course soca. The Orchestra has performed at major local events, and has competed and medalled in the World Steelband Festivals in Trinidad. Our concert season (Panfest) occurs during the second semester / summer and we occasionally have shows at Christmas. We are the largest single steel orchestra in the island.